Based on the steady cooler weather we've been having, I guess I have to admit that fall is probably here to stay. I was excited to get out all of our fall decorations for around the house - if our dog can refrain from eating them this year, that would be great. I picked up this door mat while I was grocery shopping. It was perfect. I love owls! 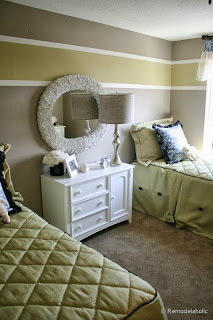 We've been toying with the idea of re-vamping our 2 spare bedrooms for about a year now. Now that our wedding is over and the weather is cooler, I think we are finally going to do it. I have looked at pinterest and google for some ideas to create a little inspiration board before we start. I thought I would share some of my favorites! I can't wait to get started! 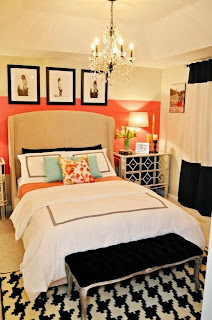 I will have several DIY projects with the room remodels. I'll share our room progress with all of you along the way! 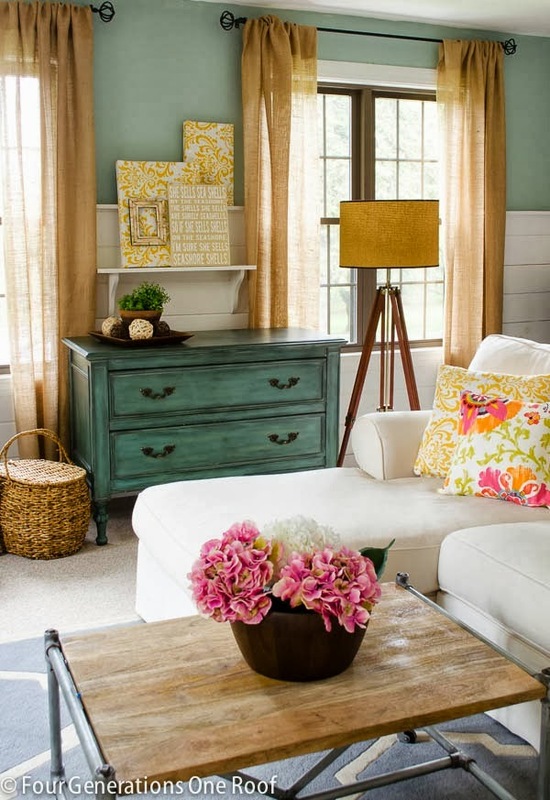 Have any of you remodeled lately? I love these inspirational pictures! I think the fourth is my favorite! Really nice pictures :) I love your blog! Just followed you, would you mind checking out mine and possibly following back? Thank you! I'll definitely check yours out! Amazing photos, love this kind of inspiration! Thank you! I'll be sure to check your blog out. 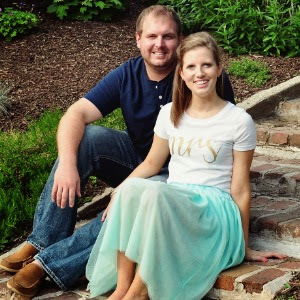 I don't use GFC but I can follow on bloglovin or blogger! You are on the right track for inspiration. Start simple. I love the Chipping with Charm bedroom with the ladder and drop cloths. Congratulations on your wedding, Fun times and keep life as simple as possible - 20 years for me and my sweetheart. Thank you! Congrats on the 20 yrs!! I hope our room turns out as good as these! Beautiful pictures! Every time I see house decorations I cannot wait until I re-decorate my place. Thank you! I am the same way! Sure! I will check out your blog! I have never tried to remodel anything since we're just renting at the moment. The thought completely terrifies me! 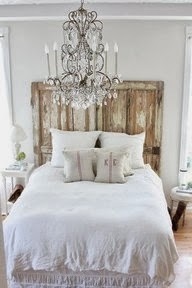 I love your inspiration photos - especially those gorgeous chandeliers! Thank you! I do too! I can't wait to get started! Those pictures are great inspiration... 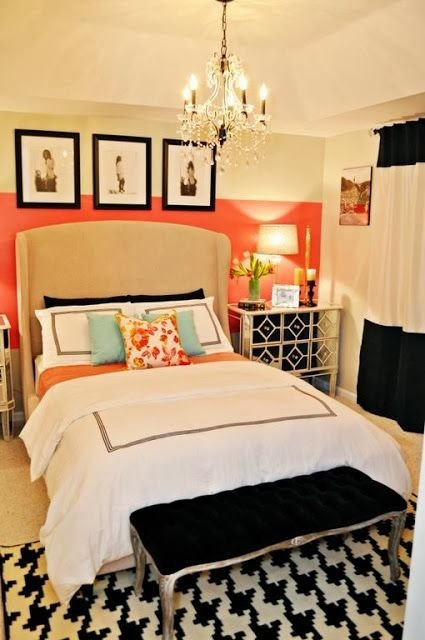 I like that last room with the corals and black, so beautiful. Good luck with remodeling lately, it's a lot of work but worth it when you have the final outcome, a beautiful room! I totally agree! Thanks for the good wishes! I think so too!! I'll check out your blog! Fun inspo! 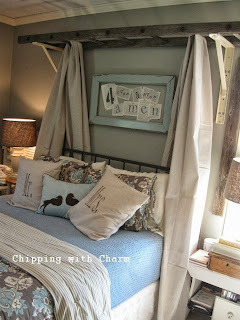 Love the rustic bedroom! The chandelier is amaze! I love it too! Thanks for the comment, I'll check out your blog!